With 45 days left before Halloween, things are beginning to get busy. 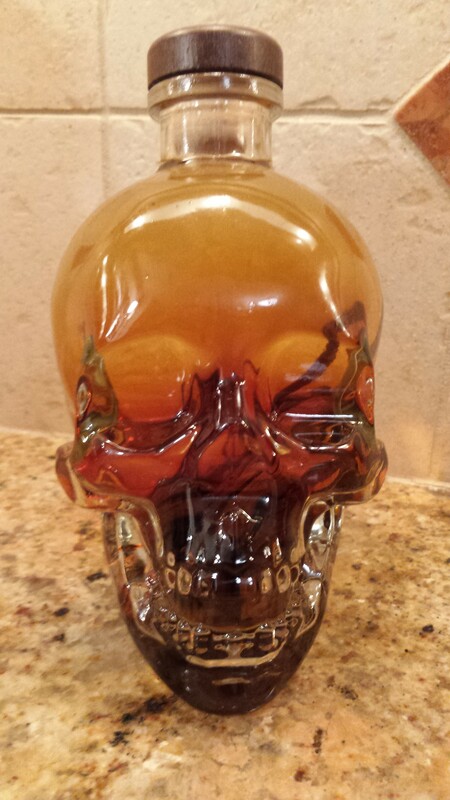 Although I’m obligated (via my marriage contract) not to put up Halloween decorations until the month of October, a new vanilla-vodka skull has taken up residence on the counter. At the same time, my vague notion that I should do something about my Halloween costume has turned into full blown panic that I have nothing done for my Halloween costume. 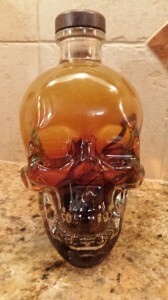 Add whole vanilla beans to Crystal Skull Vodka and in a month you’ll have vanilla extract! Another source of panic? After some nastiness with neighborhood vandals Tiger and I decided we wouldn’t be doing a Halloween display this year. We’d been invited to bring last year’s display (telescope included) to another neighborhood for more kids to enjoy. With our schedule this year the decision made sense… until I bumped into a pair of neighbors, one nine, the other seven, who told me they’d been looking forward to our display all year long. While I wasn’t in the mood to put together a display with less than a month to go, their pleas softened my heart. I realized that if I didn’t make an effort this year, next year there might not be any kids to enjoy it. Our theme is giant spiders. Stay tuned for pictures of all our last minute DIY fun. 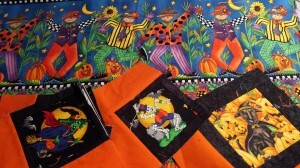 When it comes to Halloween time I have two theme park favorites. 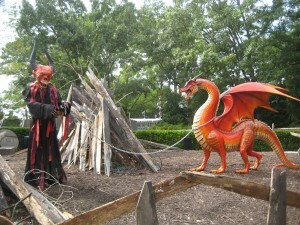 The first is Busch Gardens Howl-O-Scream, which boasts five ‘terror-tories’. 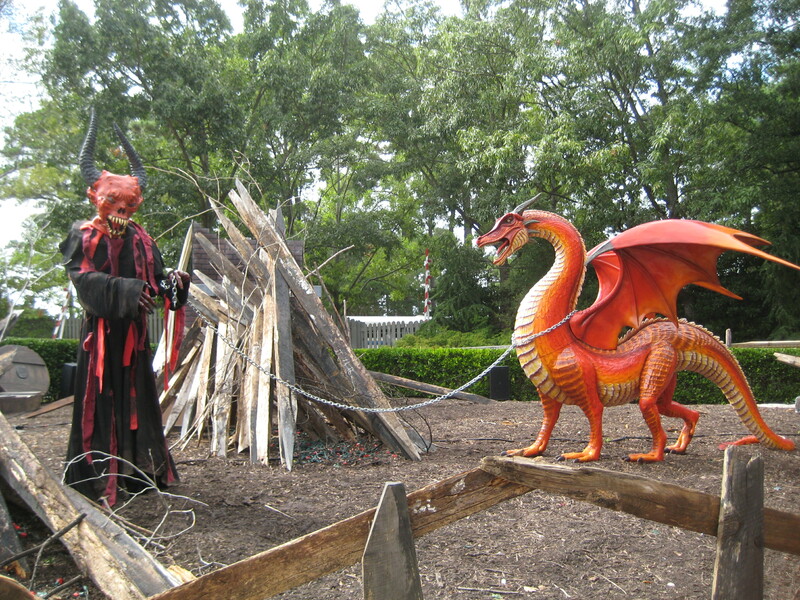 In the past the themed spaces worked together to tell a single frightening story. This year theming is a bit more haphazard. Marketing materials brand the effort as ‘Cursed’ spinning the story of a song that brings madness. What does the song have to do with the park areas of pirates, Jack the Ripper, or vampires? Not much but then, the song isn’t mentioned at all inside the park except for signs marked with a tag line ‘don’t listen’. On the other end of the spectrum is Mickey’s Not So Scary Halloween party at Walt Disney World. The theme is Halloween at Disney World. Yep, that’s it. Don’t look for deep scary metaphors or hidden meanings, just cool costumes, free candy, and the chance to meet the Disney Villains. I’ve been a huge Disney fan for a long time, but the addition of expensive add ons to this event make me wonder if this is my last year. In the past everyone had an equal chance to meet their favorite villain, now it’ll cost an additional $100 per person for you to say hello to the Evil Queen or smile at Cinderella’s stepsisters. A better place for that money is the flood of Haunted Mansion merchandise, from a $400 hand bag to a pair of logo-bedecked bedroom slippers. I’m hoping at least some of that materializes by the time I arrive in late October. On a more personal note, I’m in the middle of making a Halloween quilt to donate to the local foster program. I’m keeping my fingers-crossed there’s at least one foster kid who likes spiders, black cats, smiling jack-o’-lanterns, and silly scarecrows. I’m looking forward to a local writing conference in the middle of the month, and, as always, waiting (im)patiently for replies from cover artists, publishers, editors, and agents. So begins the start of the best time of year for me: busy, fun, crazy, delightful autumn. I hope I’m as happy at the end of it as I am going into it.